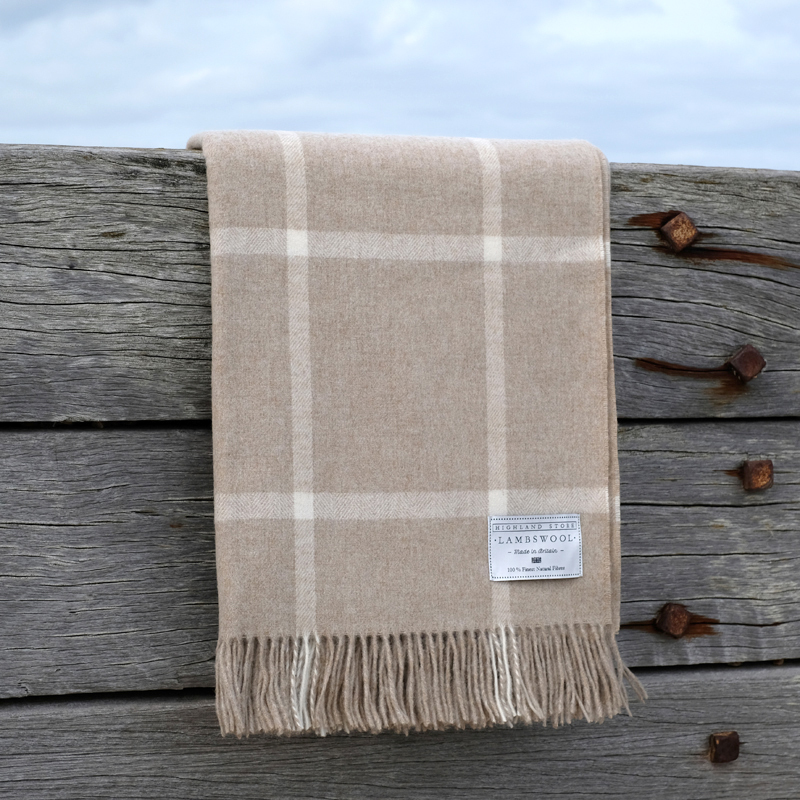 Beige and ecru fine lambswool windowpane blanket. 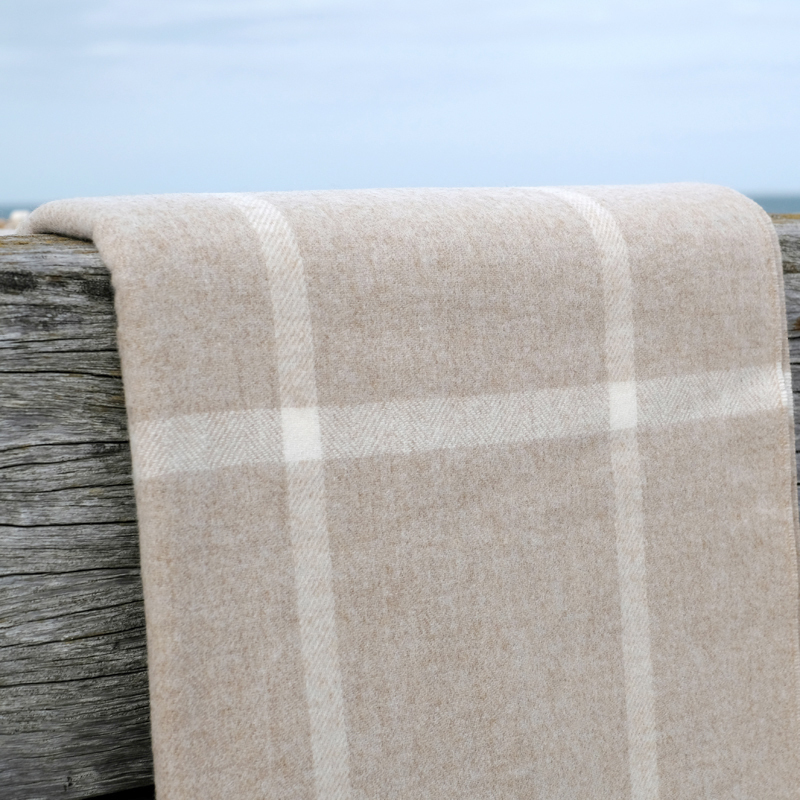 Approx size 185 x 140cm. Made in the U.K.